Ideally located in the prime touristic area of City Center / Riverside, Dong Xanh Hotel promises a relaxing and wonderful visit. Both business travelers and tourists can enjoy the hotel's facilities and services. Take advantage of the hotel's 24-hour room service, 24-hour security, taxi service, free Wi-Fi in all rooms, private check in/check out. Each guestroom is elegantly furnished and equipped with handy amenities. The hotel's peaceful atmosphere extends to its recreational facilities which include garden. 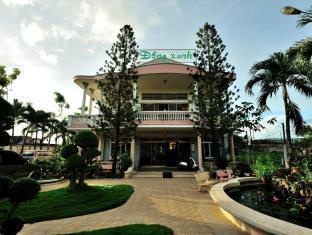 Discover all Chau Doc (An Giang) has to offer by making Dong Xanh Hotel your base.